The Flash season 2 episode 14 continued with the Earth-2 adventures, as Zoom continued his hunt for Barry’s speed. Zoom is definitely the most terrifying villain the show has had so far, but once again we’re left with more questions than answers. So let’s discuss The Flash season 2 episode 14! How dare Cisco and Harry lock up poor Earth-2 Barry! It’s been a lot of fun seeing Grant Gustin play an adorably dorky and awkward Barry Allen. 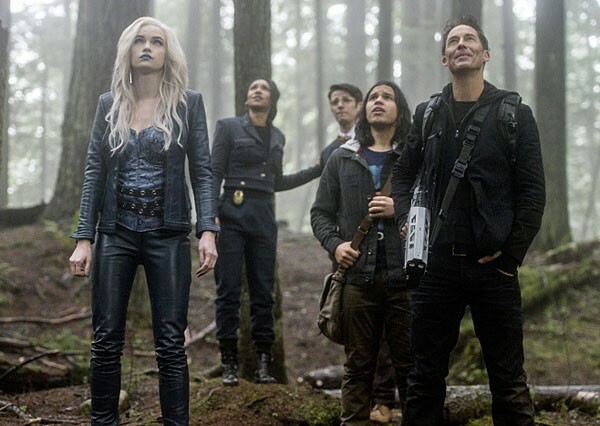 What’s great about the Multiverse, is that it does allow the actors to play different versions of their characters, I bet Panabaker is loving playing Killer Frost! So the overall plot of the episode is finding Zoom’s lair to free Barry and Jesse. Having Earth-2 Barry and Iris along for the ride was great (I may like Earth-2 Iris more). Like I said earlier Zoom is the most terrifying villain, and he has taken so much from so many people. Which means that even Killer Frost is Team Flash for a little while. In Zoom’s lair Barry and Jesse finally figure out what their roomie has been tapping on about. A code that spelt out Jay. 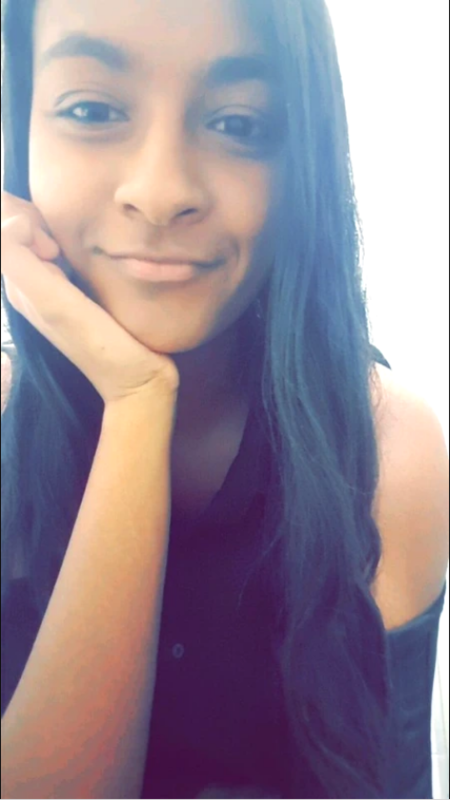 Hmm okay now what is that all about? Let’s get to that in a bit. Eventually the team find Barry and Jesse and set them free. But of course it’s not a Flash episode without a bunch of touching moments, and the reunion between Harry and Jesse was definitely one of them. And seeing Earth-2 Barry give Flash a nice motivational speech was pretty awesome as well. Finally the Earth-2 gang escape and the portal is ready for them to come back. And they do, but not without Zoom killing Jay along the way! What! 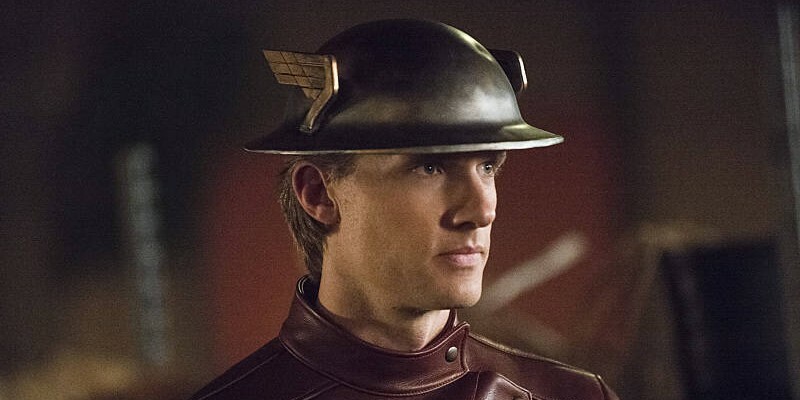 So is Jay Garrick dead now??? No freaking way is Jay gone. There is so much more to this character than we know right now, Jay’s story arc is clearly going to be very connected to the Zoom mystery. Here’s what we know about Jay: He tried to increase his powers to be able to go faster (someone else has the very same goal) and his Earth-1 doppelganger is called Hunter Zolomon (Zoom’s name in the comics). Then you have the prisoner who coded out Jay’s name. Yeah there’s clearly a lot more going on here. There’s been a few theories as to why the prisoner tapped out Jay’s name: Maybe he’s some kind of psychic who was warning Barry about what was going to happen to Jay. Or maybe the prisoner is Jay but from the future/past, I don’t know, somewhere else in the timeline. Or maybe Jay is Zoom. That doesn’t exactly make sense but with alternate timelines and parallel universes, there could be a Jay somewhere out there who’s Zoom. I don’t think that’s the case, but with this show you never know. All I do know is that we will be seeing Jay again, one way or another. Because it’s also cruel to keep killing Caitlin’s boys okay! 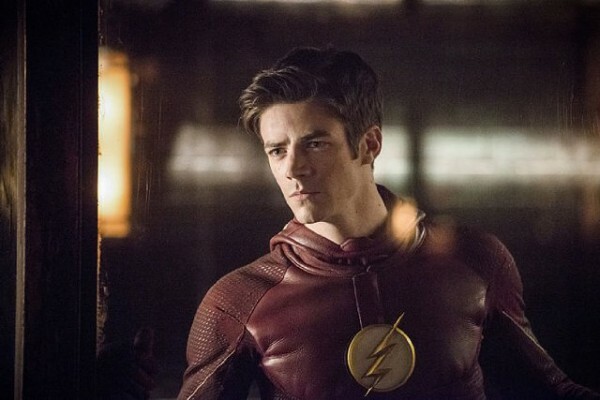 The Flash season 2 episode 14 may have been a Zoom heavy episode, but once again, no answers as to who he is. In a promo for the future episodes of The Flash we saw that Zoom will eventually take off his mask, but when that will be is the question. I’m think I’m starting to get over the constant mystery behind his character, because there’s only so long you stretch the whole “Ooh I’m a mysterious scary guy” shtick they have going on with Zoom. I want some answers as to who he is and why he’s doing what he’s doing. With Reverse Flash we got a good idea behind the psyche of Eobard Thawne, and I would like the same with Zoom (look at me demanding all this stuff, I need to learn to be more patient). Next week doesn’t seem like it’s going to be giving us any answers though, as it seems like another filler, freak-of-the-week episode. However that freak is King Shark, who I absolutely love, so I’m not too mad. Overall The Flash season 2 episode 14 was an exciting episode full of some very stressful moments. Zoom continues to be completely freaky and intimidating, but it’s time to solve this mystery once and for all. Here’s hoping Zoom’s unmasking comes soon! In comics, the very first version of the Reverse-Flash was actually a colleague of Jay’s named Edward Clariss, who tried to recreate Jay’s “Velocity 9” formula, and became a “reverse” version of Jay’s Flash known as The Rival. What if Zoom, Hunter Zolomon, and Jay himself are all connected in regards to that? It seems to make sense if that were the case. Zolomon could be connected by him getting possessed by Zoom after becoming living energy, because the same thing happened in comics when Rival possessed Max Mercury. Here’s what I think could happen and be revealed: Clariss becomes Zoom in the same particle accelerator explosion and gets same powers as Jay. They’re partners/”rivals” for a while, until Jay decides to want to make himself faster using the Velocity formulas then stops once he notices it’s actually killing him. Clariss doesn’t stop taking em and it results in him turning into Zoom, so he goes after Jay and Wells for revenge and also to become the fastest man alive. He needs Barry’s speed and others in order to prevent from further dying despite being powerful. After not being able to get more speed, he turns into energy, and possesses Hunter Zolomon, who becomes the new Zoom. It makes sense if that were to happen. Hmm interesting! I think it would make sense now to have it all revolve around Jay considering they’ve been hinting at it for a long time. I like this theory! The man in the mask could be Jay’s father – he mentioned before that his father is actually a war vet, who used the kettle helmet he wears, which would explain the POW code. Could be Zoom’s blackmailing him like he was Wells using his father as a bargaining chip. Two pronged attack: get Jay to develop a successful Velocity serum, get Wells to develop a Speed Force stealing mechanism. Problem is though that I’d expect his father to be pretty old, and while we can’t tell the person’s age…Idk, we’ll have to see. Alternatively, it could be a twin or something – after all, twins are quite rooted in Flash mythology with Cobalt Blue and Barry/Wally ending up having twin children as well. There’s a bit of weight behind this theory in the form of a literary reference to one of the d’Artagnan Romances – specifically, a man in an iron mask! That man turned out to be a twin of Louis XIV. Of course, it could well be a red herring. Hmm interesting theories. We don’t really know too much about Jay’s life on Earth-2, and I believe they’re keeping his backstory a little hidden for a reason, so either of those could be a possibility. But right now I’m just super confused, we need some more hints!